Food waste is believed to be the primary source of biowaste. A recent European Commission project named Fusions estimated the amount of food waste produced along the value chain in the EU-28 countries to be around 87.6 million tonnes. Current treatments constitute a number of valuable disposition strategies, ranging from incineration, composting, and bio-gasification (including use of residual material as fertilizer), to feed for livestock and redistribution for human consumption (Chen et al. 2016). In this vein, a new process and technology approach has been recently developed for the creation of a new raw material called PHA (polyhydroxyalkanoate), which is generated from urban food waste that this study labels as bio-based plastic. However, there are many barriers to full utilization of bio-based materials as a resource. First, in order to make disposition activities feasible for a company, they have to be profitable and economically sustainable. Second, customers’ perception and acceptance of the new waste-generated PHA material is the key for its success. Despite its relevance, strategies and processes aimed toward increasing sustainability in the supply chain often neglect the consumers’ acceptance and perceptions of the products derived from circular business processes in, and rather disproportionately focus on the chemical and engineering technical aspects, or on supply-side problems, such as for instance analyses on end-of-life, end-of-use, and the organization of efficient Closed Loop Supply Chain (CLSC) systems (Govindan et al. 2015). This is confirmed by the lack of studies from demand side of CLSCs addressing the role of consumers. Thus, it is crucial for the implementation of a circular economy model to understand consumers’ attitude and willingness to buy products from waste and to switch, at least in part, from new products to biowaste-derived products. Based on an extensive review of the literature we have noticed that specific research on such products is missing, so the purpose of the present research is to overcome this gap regarding the consumers’ role in the circular economy and their perception toward such products, exploring such phenomenon under the umbrella of the prospect theory (Tversky and Kahneman 1992; McDermott et al. 2008; Wang and Hazen 2016). Thus, this research contributes to research and practice by identifying and testing factors that might affect consumer attitude and acceptance toward products derived from bio-based plastic. In doing so, an experimental design will be developed, and participants to the survey will be asked to evaluate a series of statements related to their awareness, attitude, and willingness to buy or to switch toward bio-based products. 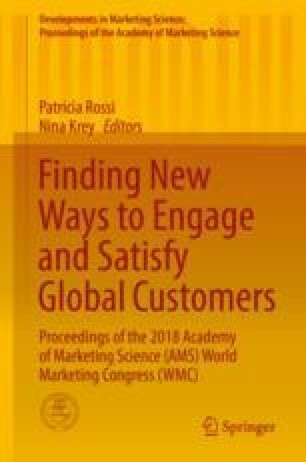 This answers to the call for more research to understand how to fully integrate consumers into a circular economy (Abbey et al. 2015).